Christine Litwicki Quality Personal Training, Inc.
With over ten years of personal training experience, Christine Litwicki can help you achieve your goals with fun, challenging and effective workouts. Whether you are training for your first 5K or sprint triathlon, or just want to become fit and stay healthy, Christine can help you move forward to finish that race or create that healthy habit of regular exercise. 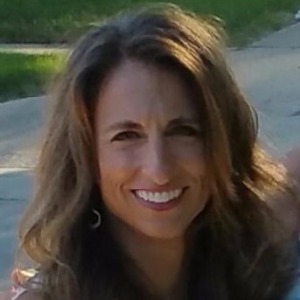 Christine Litwicki is a Certified Personal Trainer for her own business, Quality Personal Training, Inc. She is a NASM and ACE Certified Personal Trainer, and USAT Level One Certified Triathlon Coach and has also completed the NASM Corrective Exercise Specialist course. She has completed a marathon, sprint and olympic distance triathlons. With this experience, she has helped her clients train for and complete triathlons, and has inspired many clients to achieve their personal health and fitness goals. Her philosophy is that health and fitness are very specific to the individual and that simple and effective workouts can be custom made to each person. Using her undergraduate in Psychology combined with her fitness experience, she believes in educating her clients about health and fitness to make them successful for a life time. Success. Coach Christine Litwicki has been notified of your message.